You’ll be able to get no-obligation advice from care coordinators at trusted Vets At-Home services such as Cloud 9 Vets. The euthanasia procedure will be slowly explained so you know how it works and what to expect. The gentle two-injection process ensures your dog won’t feel anything except a small pinprick before peacefully drifting off to sleep. Small breeds of dogs are those weighing up to about 12kg, including Chihuahuas, Pomeranians, Bichon Frise, and Yorkshire Terriers. At-home gentle euthanasia prices start from £249 – this price is determined by your pet’s weight and breed. Breeds of medium and large dogs are commonly called family dogs and include Labradors, Collies, Boxers, and Greyhounds. Medium dogs are classes as weighing between 13-40kg. At-home gentle euthanasia prices start from £259 based on your pet’s weight and breed. Dogs that weigh more than 40kg are categorised here. These include Mastiffs, Great Danes, and Saint Bernards. At-Home gentle euthanasia prices start from £289 based on your dog’s weight and breed. A reputable in-home euthanasia practice will only use pet crematoriums that are members of the APPCC Code of Practice. Each one will be independently inspected to verify they meet all stringent requirements. You’ll have a choice whether to let your vets pass your details on, or to contact the crematorium yourself. And you can choose to take your pet to the crematorium or have a collection from your home. Many crematoriums allow you to witness the procedure if you wish. You’ll need to arrange an appointment time, and get answers to any of your questions. The actual cremation ends with then ashes being collected, cooled, and passed through a cremator to provide fine ash. You can take them with you or have them scattered in the grounds of the Chapel of Rest. Prices for cremation – by APPCC accredited pet crematorium and 4 other crematoria all with utmost quality of service verified by Cloud 9 Vets – vary depending on location, your pet’s weight, cremation type, and transportation and delivery options. There may be additional charges after the at-home pet euthanasia. Such can be high-quality urns to hold ashes, memorials, etc. Just make sure to set aside £100 extra. This heart-breaking ultimate decision should always be made with your vet. If the prognosis is unclear, or treatment or palliative care may be an option with unknown results, your vet will advise you. You can have all the options explained and be given a professional opinion, but the final choice is yours. If the pain cannot be permanently be resolved – if for instance there’s no cure or an accident or injury is preventing a good quality of life – putting your dog to sleep may the kindest alternative. High risk operations may not be successful and recovery from surgery can sometimes be difficult, and may also provide only a limited respite. You’ll also need to sadly factor in the cost of putting your dog to sleep. Surgery and treatment programmes can be very costly. And if your pet needs a high level of constant supervision and care when back at home you may not be equipped to cope with this. You need to take into account that your dog may relapse and if that happened if you could deal with it. Your pets management and reaction to illness or injury is a big indicator of how much pain they’re in. If your dog is still interested in food, wanting to play and go for walks these are all good signs. If he seems happy to see you and generally comfortable you could continue to monitor the situation without the initial intervention of your vet. You know your pet better than anyone and you’ll be able to answer how he’d cope with the loss of a limb or reduced mobility. 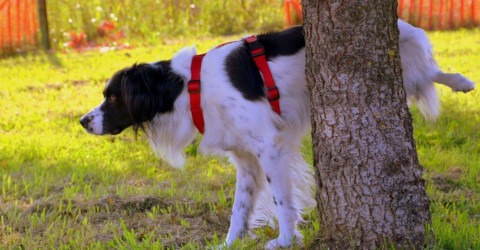 A lot of the deciding factors depend on your dog and their personality. Being handled and treated by new people can be extremely distressing for nervous dogs. If your dog is happy and positive he may take it all in his stride. However if your dog has a change in behaviour and becomes chronically depressed and loses his zest for life, putting your dog to sleep may be the best option when all others have been exhausted. It’s never an easy decision but you must always bear in mind what’s best and kindest for your pet. Questioning your decision and being totally devastated by your loss is a natural part of the grieving process. It may take a long time for you to recover and you’ll never forget. Just remember there are many support services and forums you can go to for help. Contact people who have been in your situation and know exactly how you’re feeling. You’ll be able to talk about your loss and your grief with someone who completely understands. It’s important to look after yourself as the stress of losing a pet can deplete your energy and emotional reserves. Eat healthily and get plenty of sleep. 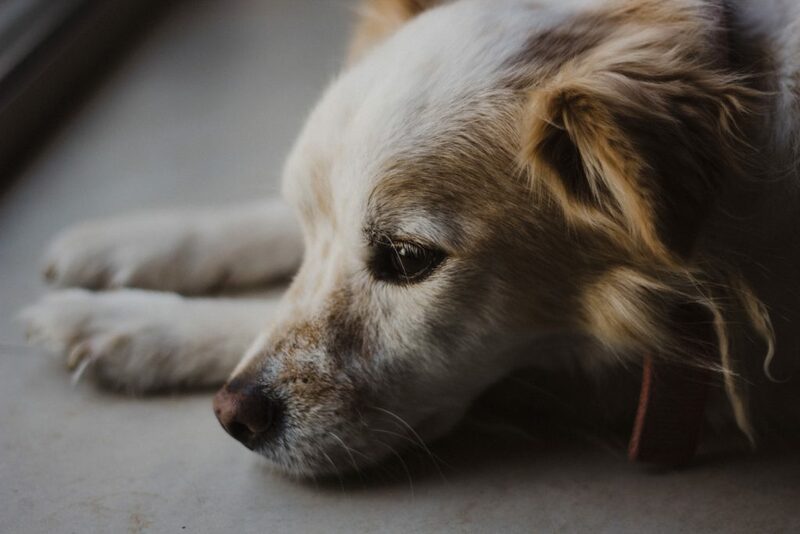 Preparing a memorial, compiling a scrapbook, or planting a tree in memory of your dog can create a legacy to celebrate the life of your pet so that you can remember the fun and love you shared as you slowly move on.